Originally, the applications used to gather Whois data were written for Unix systems and would be executed from a command line interface only. The Whois client and server software are both distributed under a free open-source license, and distributions are included in all Unix and Linux operating systems. Certain commercial Unix packages, such as Sun Solaris 7, may utilise a proprietary software implementation for it. With the popularity and widespread usage of the World Wide Web, finding Whois information has become incredibly common place and easy for anyone to use. One such example of Whois on the Web is the Pingler Domain Whois Retriever. The Pingler Whois Retriever will find the information for any domain name and bring back all of the Whois data available. This can be incredibly useful if you are researching a specific domain name and need to determine the ownership of a domain, verify the ownership of a domain, obtain the contact information for the domain’s owner, or even simply locate where the domain name is being hosted. 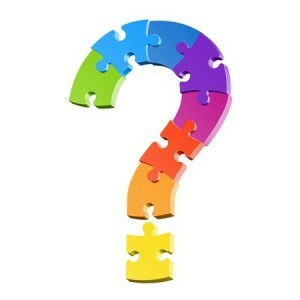 In the early days of web based Whois inquiries, the Whois clients were simple front-ends that connected to a command line client that would display the Whois output on a webpage with little to no formatting. Today, Whois clients that are available on the web will format the search results for display and will directly perform the Whois inquiries themselves. These web-based applications are typically proprietary and most of them are authored by the domain registrars. The downside to the Whois system is that there is no such thing as domain privacy. The contact details of anyone who registers a domain, such as addresses and telephone numbers are easily accessible to anyone. Many spammers have taken advantage of this in order to harvest email addresses by using whois requests. Due to this abuse of the Whois system, many servers and websites offering Whois services have implemented CAPTCHA systems to stop spammers. The Whois system was also not written with an international audience in mind, since it was developed for ARPANET originally, in the very early days of the Internet. The fact that Whois data is in US-ASCII format can limit the usability or usefulness of Whois in countries outside of the United States. What are UNIX Timestamps and Why are They Useful?